Crossing escalator arrangements provide the most efficient and continuous movement of people by separating each direction of travel into an individual uninterrupted path. 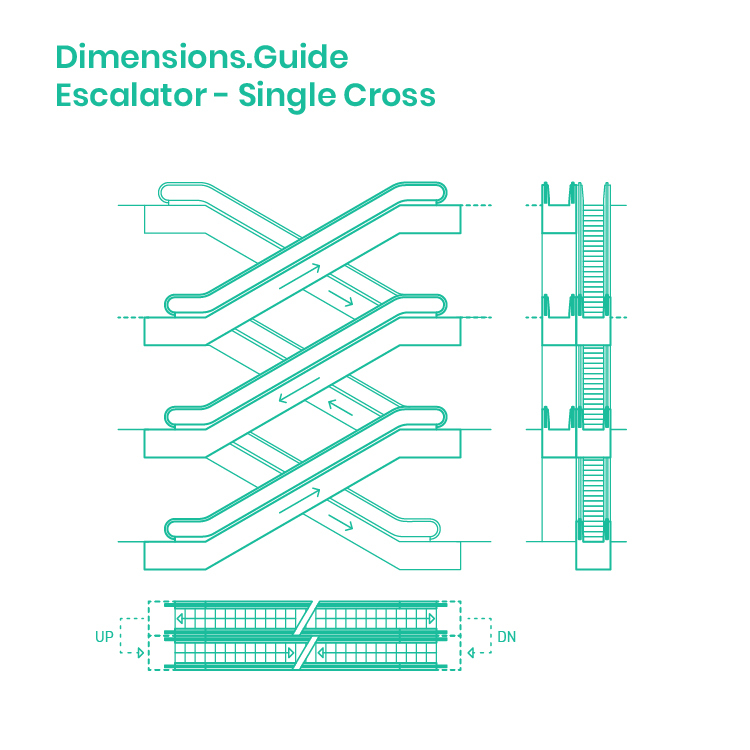 Alternating directions in systematic structural stacks, crisscrossing escalators should be considered when space planning and productivity are critical design objectives. The crossing escalator is most effective when servicing building programs that require fast travel between levels such as moving employees in large department stores, between floors of an office building, and for time sensitive public transportation centers.